Greenfield Services Inc is pleased to announce that the 2nd Annual Benchmarking Study of Membership Marketing & Engagement Practices in Canada is officially underway! Our 2012 Pulse Report had almost 150 responses to the initial survey, with an additional 100 downloads of association executives interested in the results! Because of the success and discussions this research had created, we have decided to make this an annual study. We recognize that it has not been quite a full year since we launched the initial survey. We are launching it a few weeks early this year to make the timing is appropriate for the future of this annual study, and to make sure results are available in time for the 2013 CSAE National Conference this September. Many of my conversations with Association Executives still focus on concerns with engagement, and how recruitment, e-communication and social media strategies can help move the needle of success. We would like to benchmark where your organization currently stands with membership practices in general, so that we can compare this year’s results with 2012, and see what other issues can be addressed. I invite you to join your industry peers by providing your input by following the link below. The study takes approximately 35 minutes to complete. Your input is very important and it will be kept strictly confidential. Results will be reported in aggregate and will not identify any specific response or respondent. 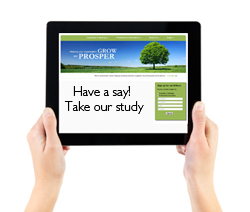 The survey is open until Friday, May 31, 2013, with results being available in August 2013. All respondents will receive a copy of the report, once available. Should you have any questions, please do not hesitate to contact me directly, I would be happy to chat further!